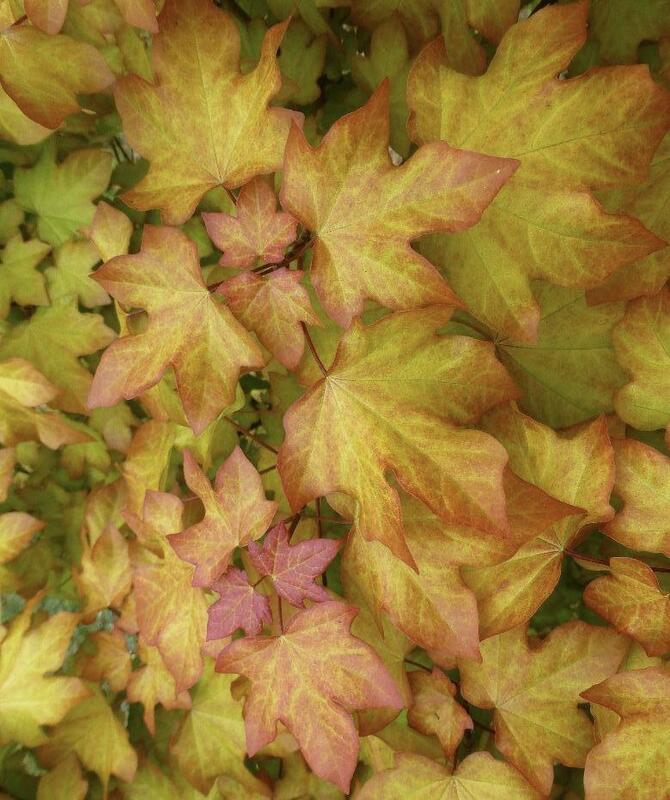 Fully hardy with broad gold foliage new growth copper red tinged. Flowers insignificant. Brilliant autumn colours. Sun or semi shade. 4m tall.